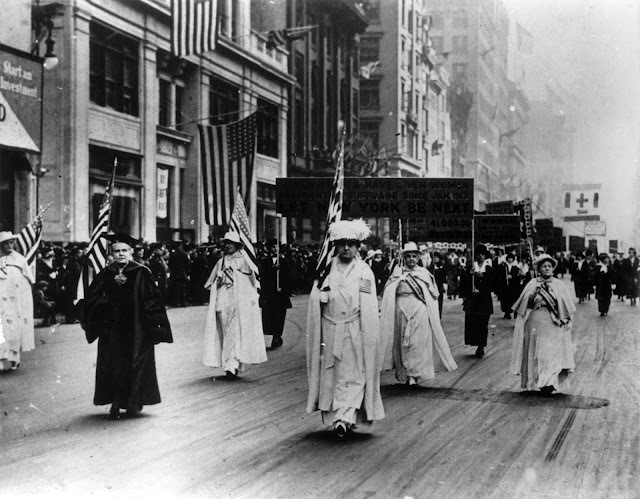 Thank you to all of the daughters, sisters, aunts, mothers, and grandmothers who fought so hard for our right to vote! 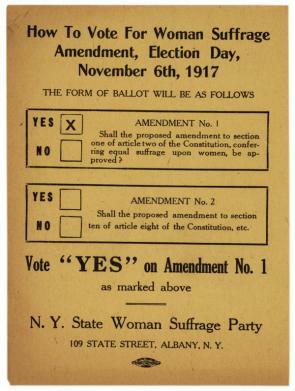 99 years ago today, on November 6, 1917, all of the women of New York State won the right to vote. 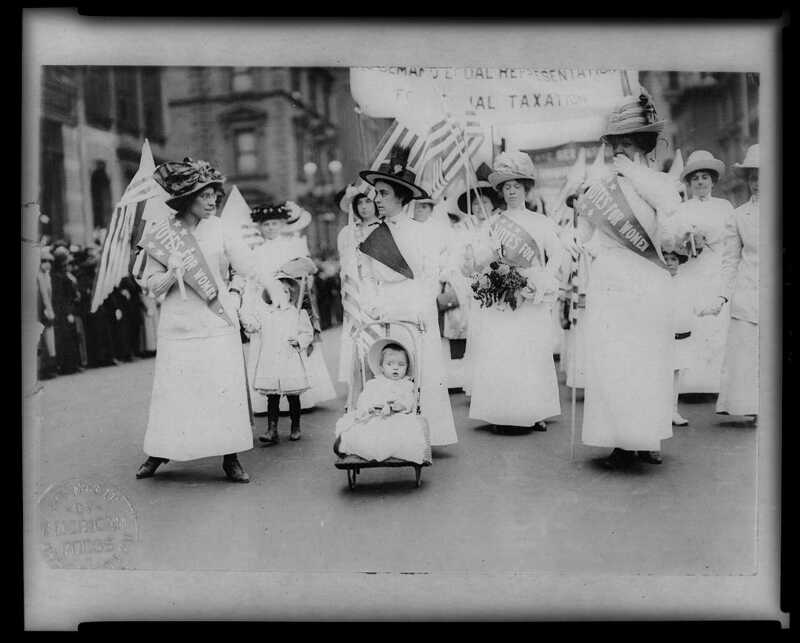 It would be another almost-three years before all adult women in the United States won the right to vote with the ratification of the 19th amendment on August 18, 1920. In the lead-up to the 1917 vote, lots of women participated in lots of parades to drum up support for woman suffrage. From The World's Work, 1912. 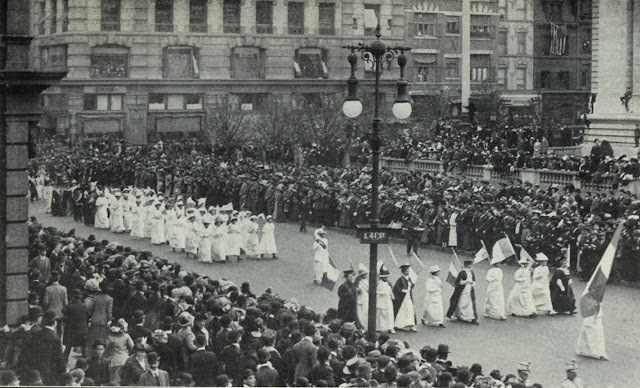 Parade took place on May 4, 1912. I won't take my vote on Tuesday for granted; you shouldn't, either!